There are ordinary apartments…and then there are apartment homes. Springs offers residents true apartment homes, and one way we do it is by including a range of unparalleled services and features, like resort-style pools, car care areas, outdoor cooking/kitchen areas and much more. But that’s just the outside of our communities – the insides are equally well-appointed, and another reason residents visiting us for the first time are so impressed. Private, ground-level entries. …because nothing makes an apartment feel less like a home than when its entry doors are lined up along a narrow, dim hallway! The choice of an apartment is an important one, and one you’ll live with for some time. 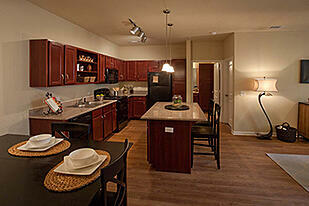 As you evaluate all your options, carefully consider the features you see in each apartment. Do they measure up to this list? If you’d like to see for yourself all the features and services that make a Springs community such a great place to live, stop by any of our management offices for a personal tour!